Emilio Schulz served in the cavalry – normally reconnaissance in armored cars in World War II – but when he was forced to park his armored car behind the lines in the invasion of France, he jumped on a horse, which was promptly shot out from under him by French colonial troops. 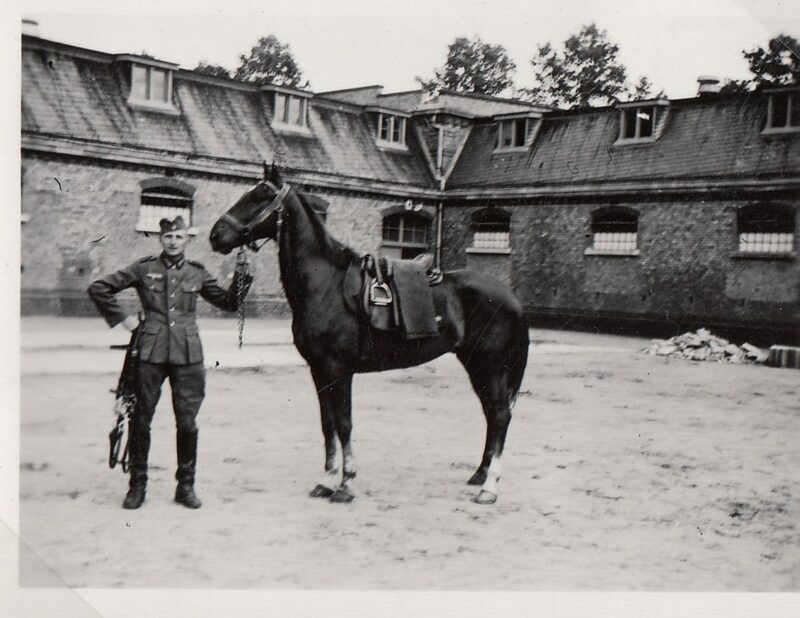 After participating in the half-hearted attempts to train for the invasion of England, he survived serving on horseback in Russia, but barely, as a “cavalry captain” or Rittmeister. Emilio lived and died as a bachelor – he was an unrepentant womanizer, and his photo albums are full of pictures of beautiful women. We interviewed him when he was 99 years old, and he gave a surprisingly candid, and detailed, interview over two days. Date of Interview: November, 2012 and June, 2013.